Hello everyone! 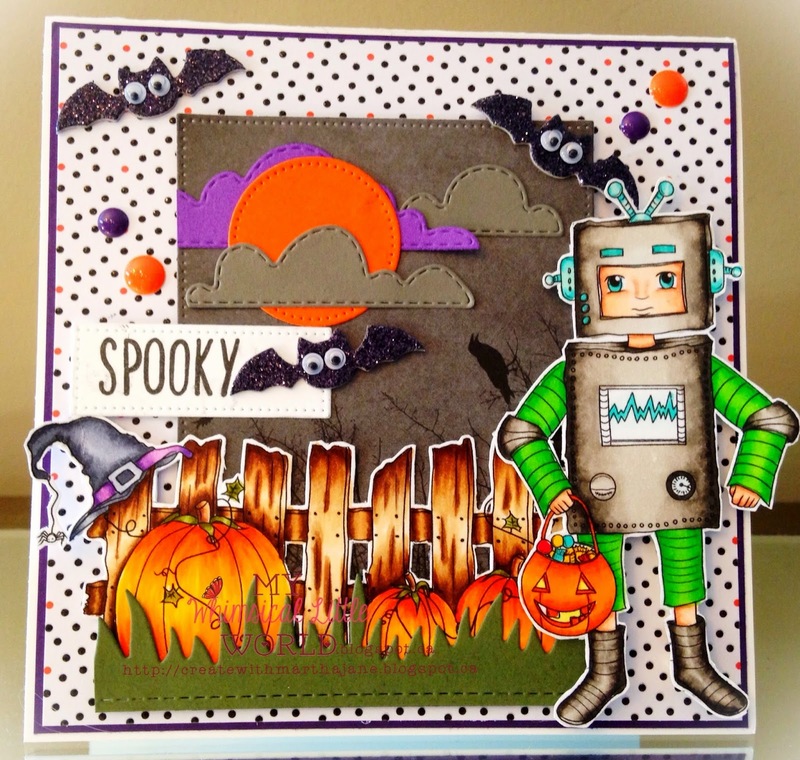 And welcome to another anything goes Challenge from The Stamping Chef! So as always our theme is anything goes! For my card I used Terri. 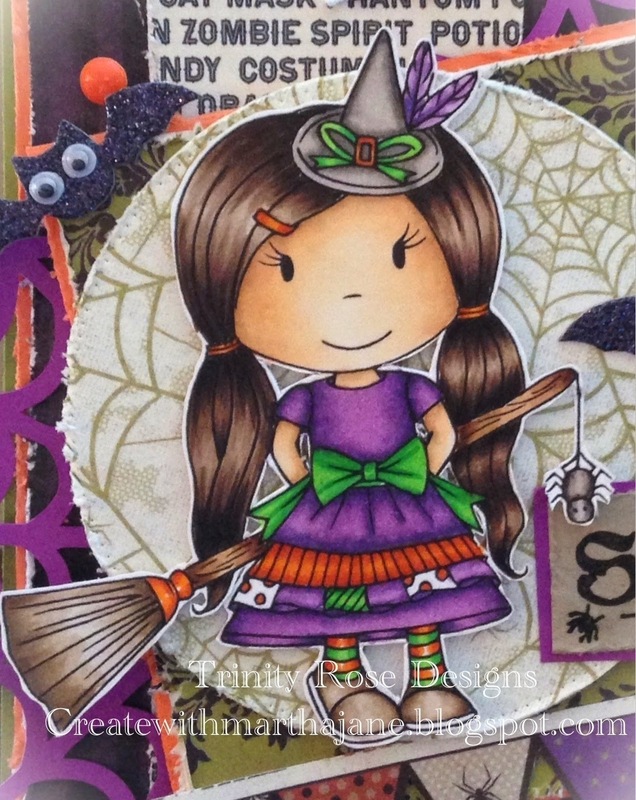 I copic coloured and fussy cut her out and layered on some fun papers. The dies and and sentiment are from Creative Time for me. If you have any questions about my Copic combo's or anything else don't hesitate to ask! Also please follow my blog! It would mean so much to to me! You can enter our challenge Here. Check out The Stamping Chef Facebook page as well! You can find that Here. Isn't she just too sweet for words! Here is a video for you to tell what I did with the card! Enjoy! I Copic coloured and fussy cut her as well and layered her on some Prima Papers, that I die cut with my MFT pierced rectangle dies. 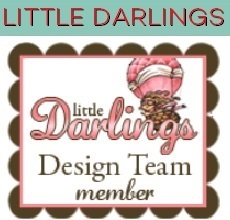 So hop over to my DT sisters pages and check out there adorable creations, I will link them below! If you have any questions about my copic combo's, products I used or any thing else feel free to message me! Also please follow my blog, I will try to keep you inspired! Happy Sunday crafty peeps! 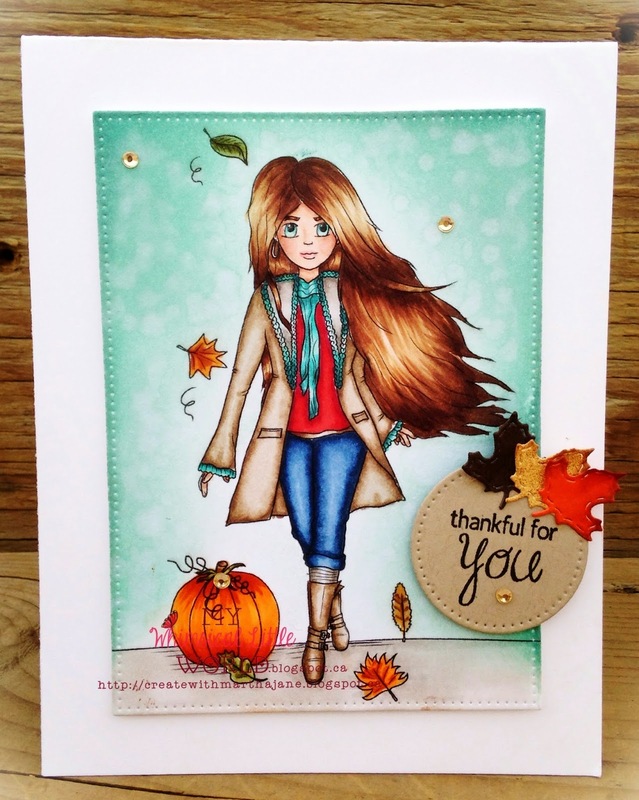 Today I have a really fun card share for you! I have recently started learning French, because my sweet baby boy just started French immersion grade one. He already knows so many words, that I'm afraid I won't be able to talk to him anymore! Lol. I thought maybe I will try to to learn French my own way, with crafting! So for my Parisian card I used a super cute stamp from The Paper Nest Dolls. This is French Girl Avery, I absolutely love this sweet little Parisian Diva! I copic coloured her and die cut her out with a MFT pierced rectangle die. The Eiffel Tower and the Bonjour sentiment is from my creative time. I distressed all the papers with my Tim Holtz distressing tool, they are from Bo Bunny. The heart doily I just picked up at Michaels after Valentines Day, and the flowers are from I am roses So I hope you are inspired to go French with your projects today! If you have any questions about my Copic combos or anything else feel free to message me! Have a wonderful Sunday. Isn't she just precious! I can just imagine her sitting by the fire waiting for Santa, drinking her hot chocalate. I copic colored and fussy cut Lilly. Then I matted her on a MFT Pierced circle , and a scalloped circle, layered some papers and added some flowers and ribbon, and viola a Christmas card! The warm wishes sentiment is also from the new fall release, you can find it Here. Thank you for coming to see my creation, if you have any questions about my Copic combo's or anything else just message me! Also please follow my blog I will try to keep you inspired. 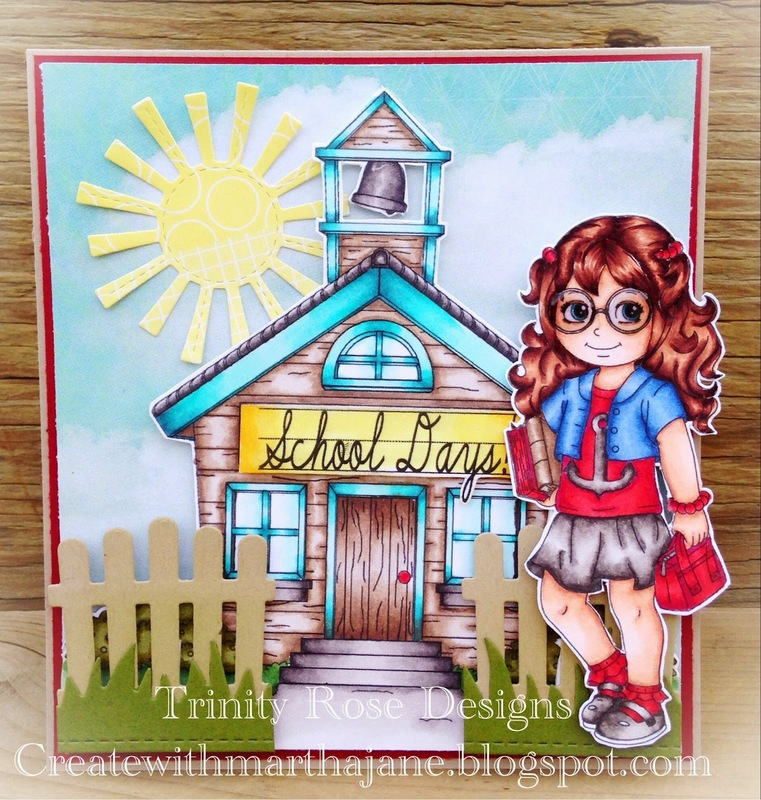 Pop over to the inky impressions challenge blog to see what the rest of the design team had done with this release! Hello everyone! 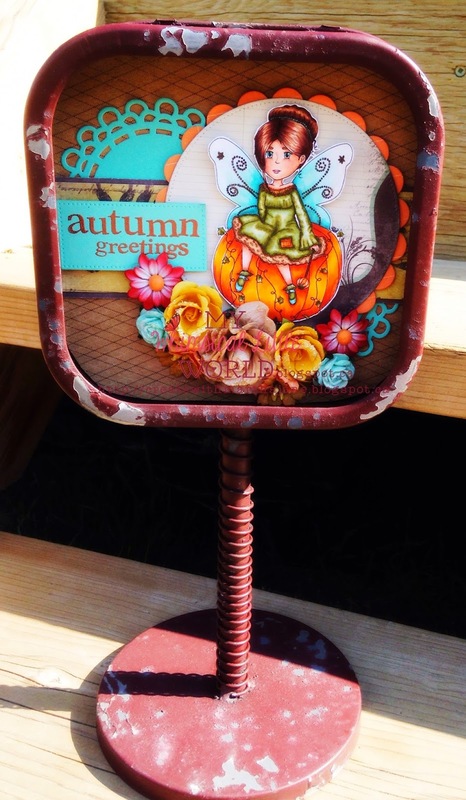 Are you ready for another awesome challenge at Love To Scrap! This weeks challenge is Anything Goes! 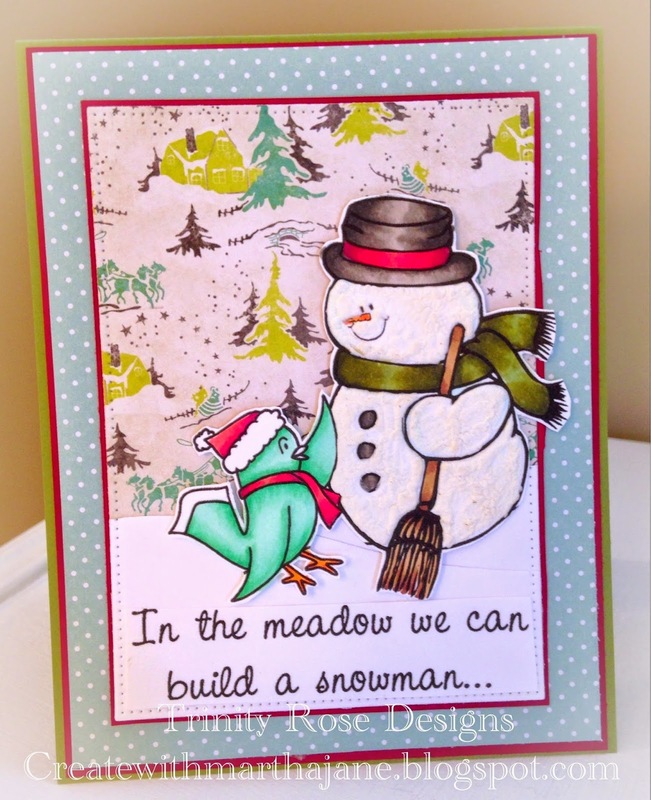 I kept this card super simple, I Copic coloured and cut out the snow man and bird, then I layered them on a background of winter trees! So make sure you join the challenge you can find it Here. If you have any questions about my copic combos or anything else feel free to message me, also please follow my blog I will try to keep you inspired! He is too cute for words! 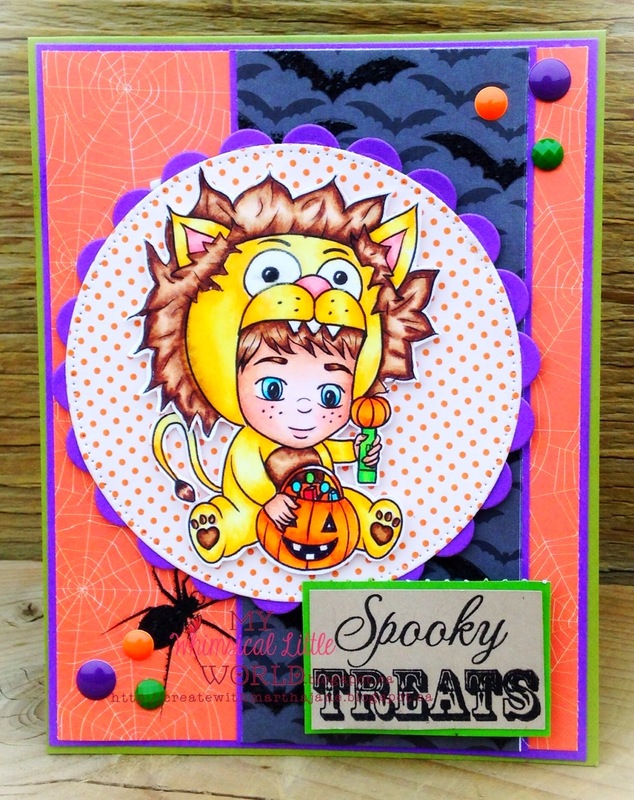 I Copic coloured and fussy cut Christopher out, and layered him on a MFT pierced circle die. The sentiment is from Amy R, the papers are just scraps from my scrap drawer. So go join the challenge yourself! You can find it Here, check out the Inky Impressions Facebook page as well to stay up to date on all the latest inky news Here. If you have any questions about myCopic combo's or anything else feel free to message me, also please follow my blog, I will try to keep you inspired! Isn't she fierce? Just love her! I Copic coloured and fussy cut her. The background is dry embossed with a lifestyle crafts hearts embossing folder. The little banners are from My Creative Time, and the fantastic sentiment is from Scrappy Moms. You can join the challenge Here also check out The Stamping Chef Facebook page Here there is always loads of inspiration! If you have any questions about my Copic combo's or anything else feel free to message me! Also please follow my blog, I will try my best to keep you inspired! Hello everyone! I hope you have had a wonderful restful weekend! 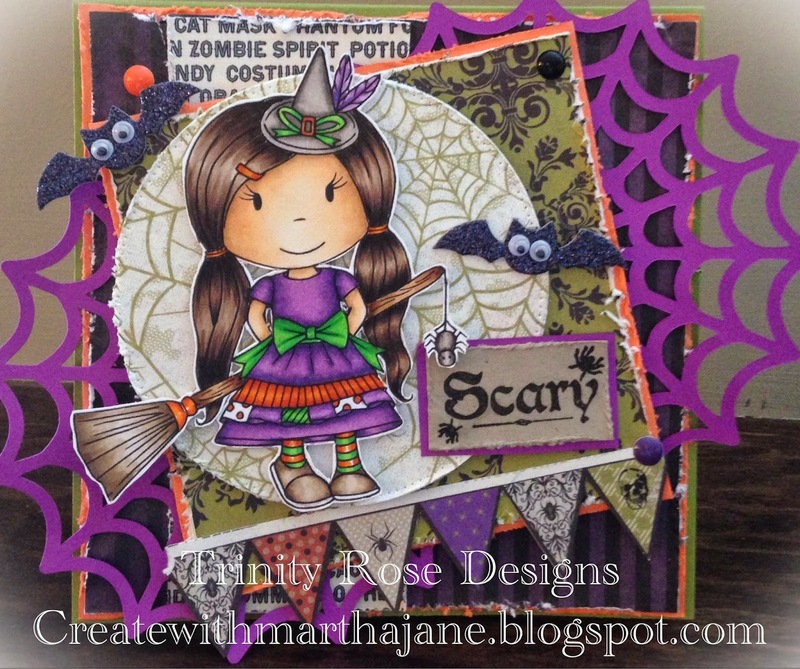 We have a adorably spooky release at My Whimsical Little World this week! Halloween is not something that I ever really used to get excited about, but now that I have kids and I see how much they love it, I love it too! So let's get started! For my first project I used Home Before Midnight an adorable little fairy girl. I copic coloured and fussy cut the Robbie (he also comes without the candy pail for year round card making!) and the fence, then I created a back round with lots of die cut clouds and a moon. So last but not least is probably my favourite of the release, because he is just so stinkin cute! freebie coming up, and a really fun Halloween challenge, for the chance to Win even more free digi's! 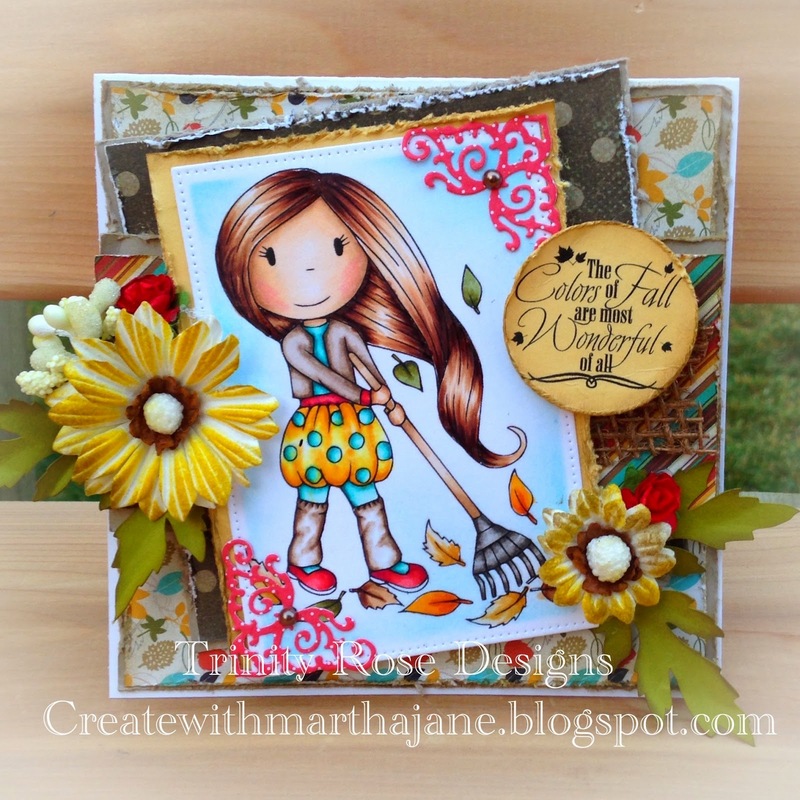 Also don't forget to head to the My Whimsical Little World blog to pick up some free cut files Here. Ok I'm going to sign off for now but if you have any questions about my copic combo's or anything else I would love you to message me! Also please follow my blog, I will try to keep you inspired! Hop along to my DT sisters blogs as well to check out there take on the new release as well, I will link them below! Hello everyone! I hope you are having a fabulous Friday! 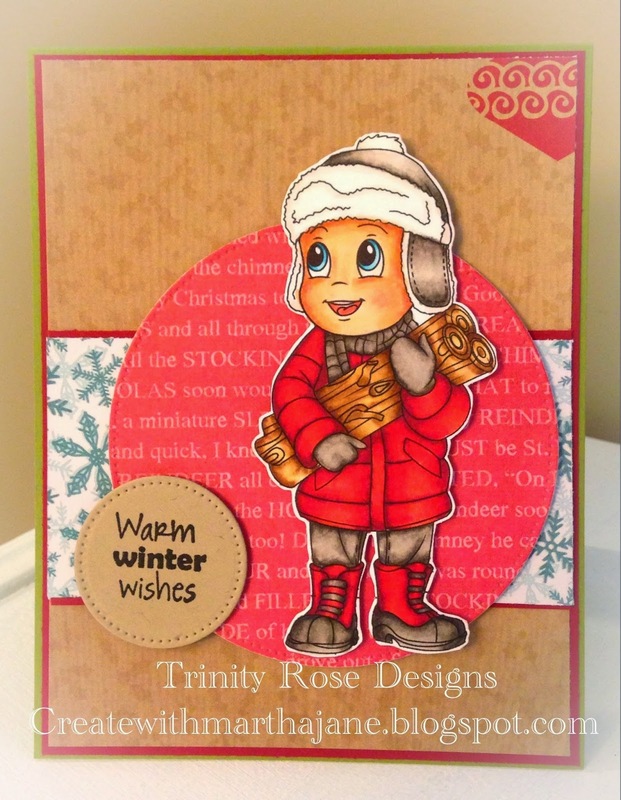 There is a sparkly new challenge at The Stamping Boutique Challenge Blog. 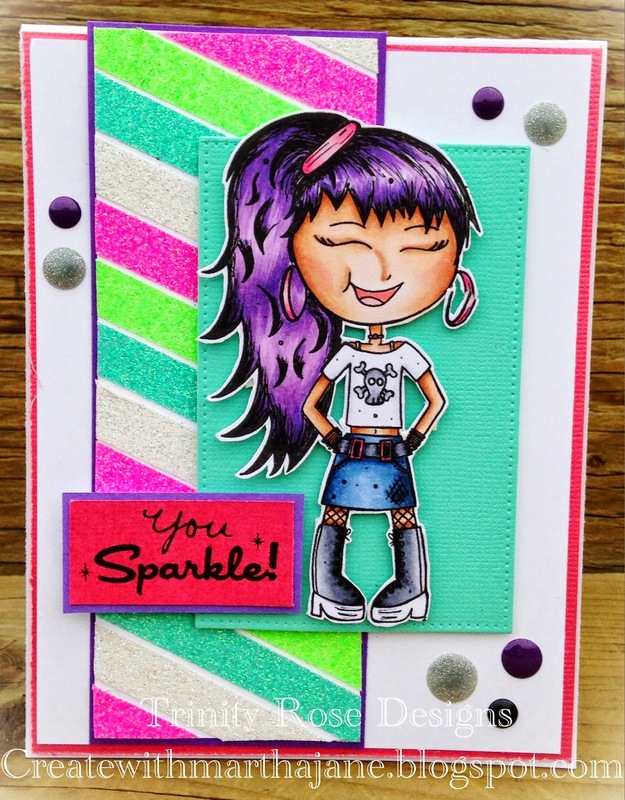 This week the challenge is to add glitter to your card/project. So for mine I used Alexis from The Stamping Boutique. I colored her up with my copics and fussy cut her out. For the glitter part of the card I used American crafts glitter tape, I created a panel just by alternating between the colours of the glitter tape, I also used glitter enamel dots from recollections. The sentiment is from Scrappy moms. If you any questions about the copic combo's I used, or anything else feel free to message me! Also please follow my blog, I will do my best to keep you inspired ! 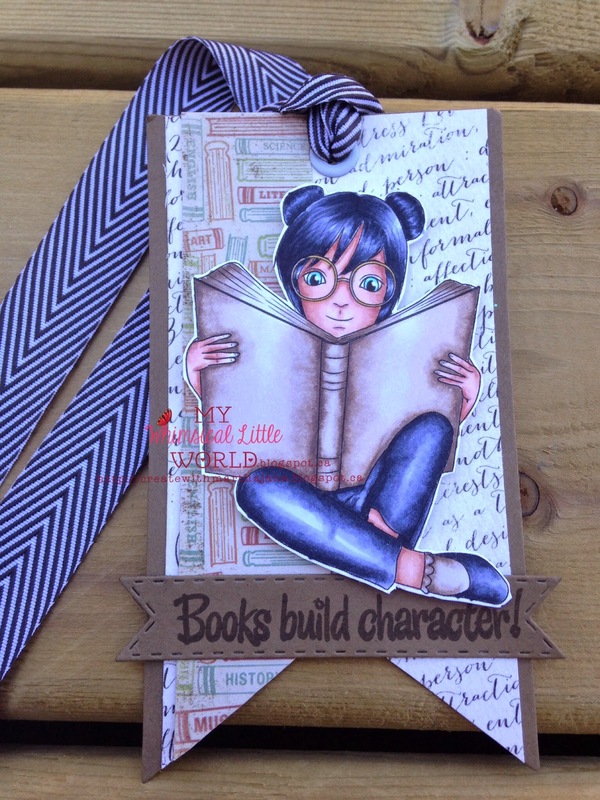 Head on over to The Stamping Boutique Challenge Blog and link up yours! Some news and a new release.. I Copic coloured and fussy cut Angelica and the School house, then I set the scene with cloudy patterned paper and dies from my creative time and my favourite things. If you have any questions about the Copic combo's I used or anything else feel free to message me, and please follow my blog, I try to keep the inspiration flowing! So with this beautiful digi I made a altered canvas for home decor, the canvas I sprayed with gold bloom mist from Prima, I stamped various leaves right on to the canvas , there is also a doily that I embossed with copper embossing powder. 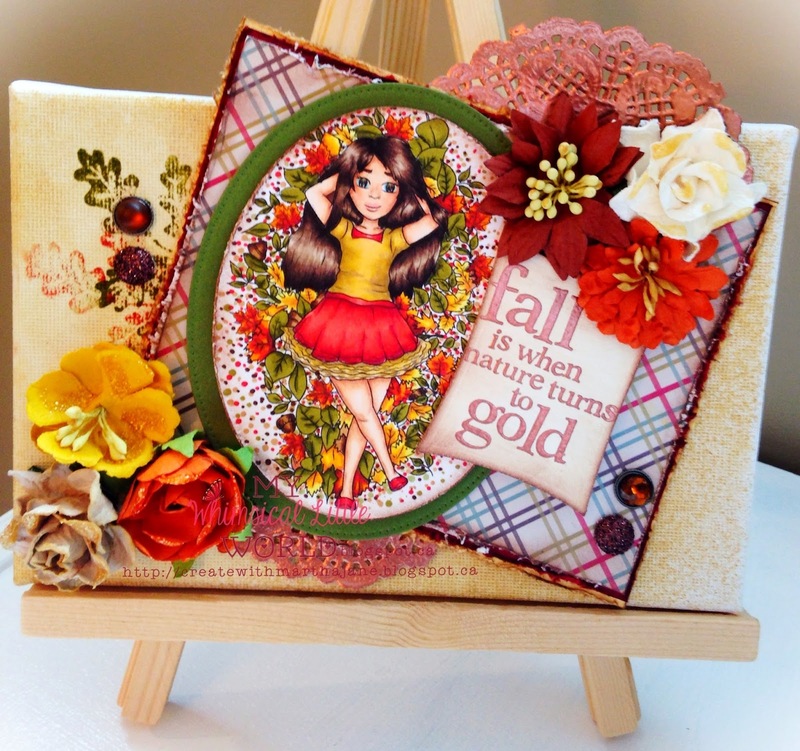 Then I just finished by layering some Fall themed papers and embellishments. If you have any questions about Copic combo's I used or anything else feel free to message me! Also please follow my blog! I try to keep you inspired! Hop on over to my DT sisters blogs to check out there take on the new release from My Whimsical Little world, they will be linked bellow! Also check out the My Whimsical Little World Facebook page for fun! 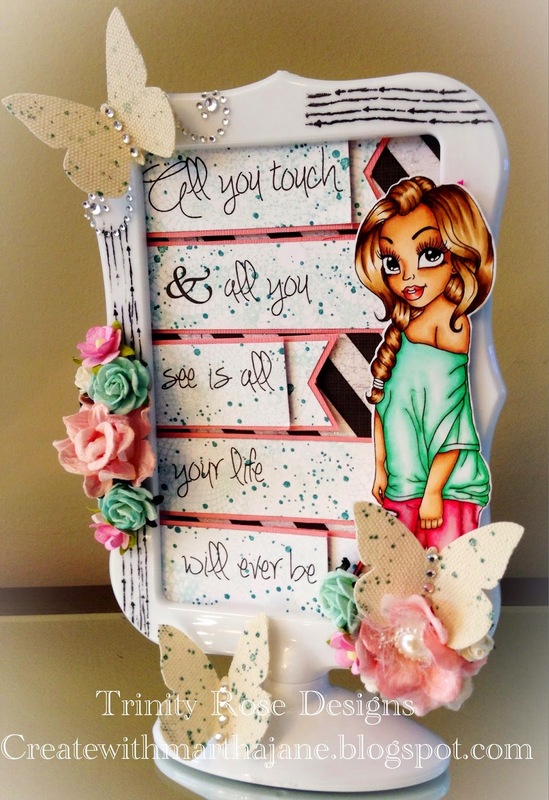 I used a frame from Michaels that I altered for my take on the lets fly away challenge. I think it's just a nice inspirational frame to have really anywhere is your house! I copic coloured and fussy cut Jolene, and printed the sentiment out using various different fonts. I added some canvas butterflies that I also got at Michaels, then I did some stamping on the frame with Staz On ink and some border stamps from Stampin Up! If you have any questions about the Copic combo's or anything else please don't hesitate to ask! Also please follow my blog, I try to keep the inspiration flowing! Head over to the Love To Scrap Challenge Blog and link up your winged things cars or projects!